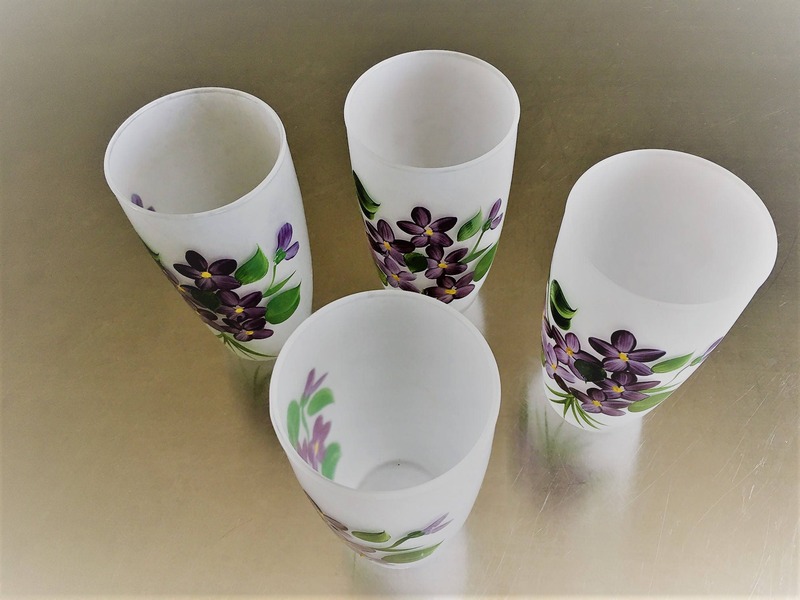 Featured is a beautiful set of four white frosted glasses with a hand-painted violet bouquet. 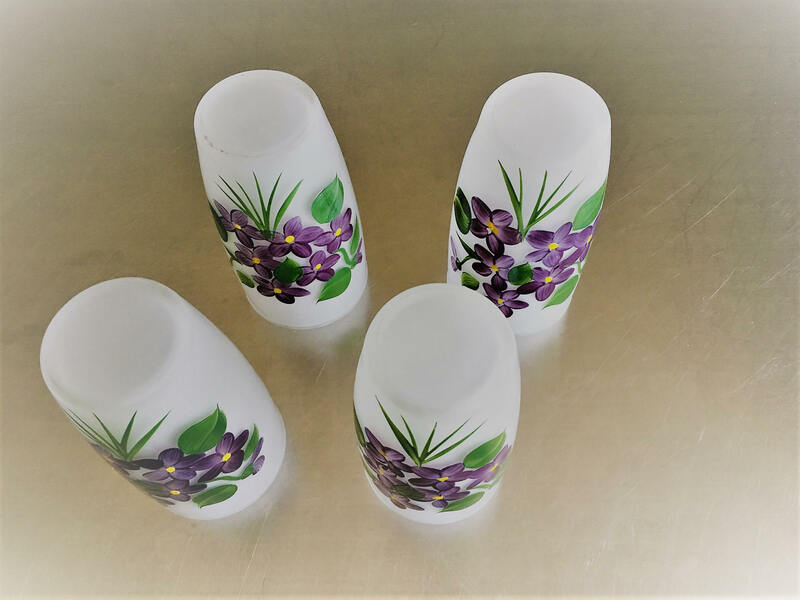 This collection of vintage 1950s glassware is in the Gay Fad Fired style. 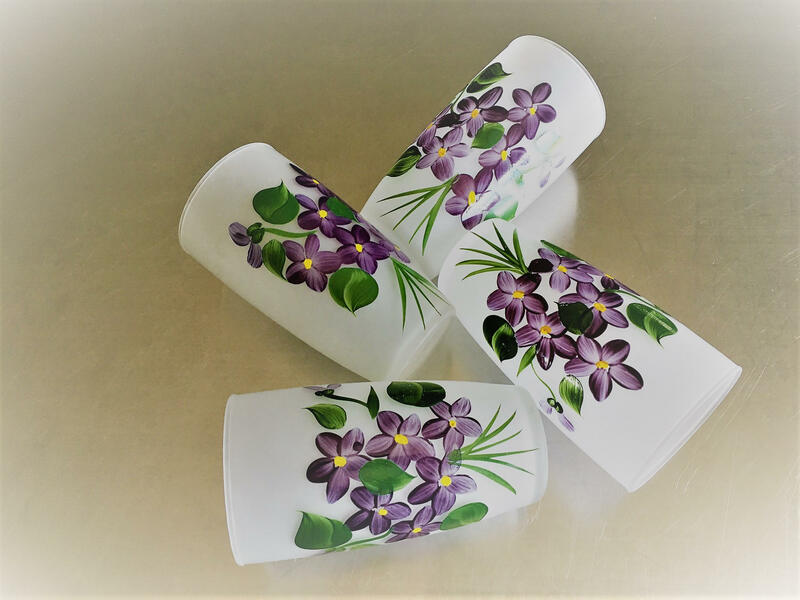 They are a lovely set of romantic white frosted high ball or tumbler glasses with a purple and green violet bouquet painted on the front of each glass. 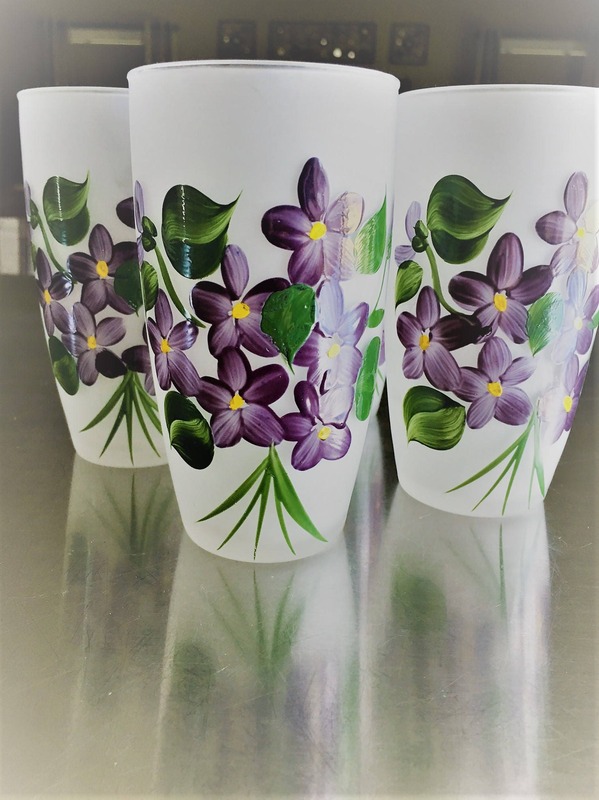 This set of 4 glasses would make a nice birthday or shower gift. Hand Painted - Gay Fad is the name of the style. 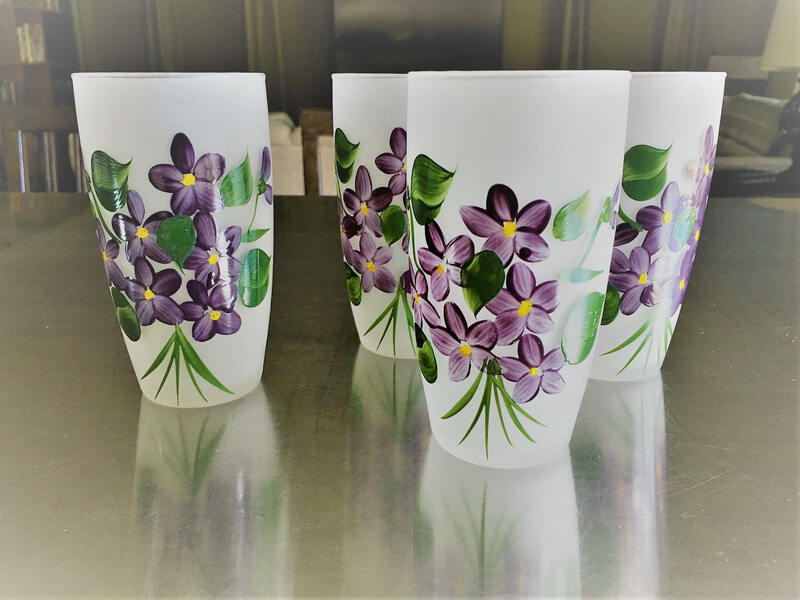 Paints are brushed on and fired onto the frosted glass. Each Glass is 5" tall and about 3" at the rim in diameter. All are in excellent shape- with no wear to the painted flowers and etc. All four glasses for one low price.